Situated between the Red and Ha Rivers, just to the south of Vietnam’s northern delta region, Ninh Binh Province is well known for its stunning natural scenery. 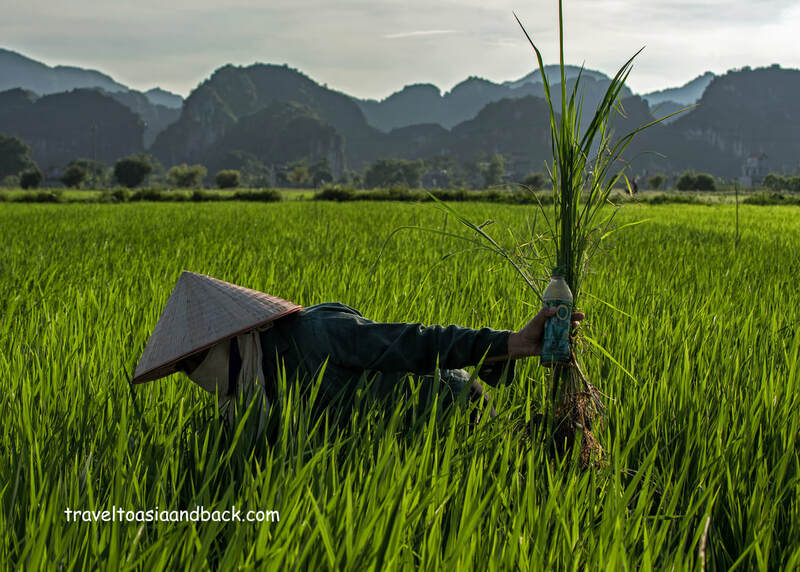 Much of the area’s flatlands are blanketed with large swaths of rice paddy fields, occasionally broken up by towering karst limestone hillocks, the two rivers and a seemingly endless number of streams and waterways. Often referred to as “Halong Bay on Land”, visitors come to the province to explore a spectacular UNESCO world heritage site officially known as the Trang An Landscape Complex. Covering an area of over 120 km², the site contains three protected areas; the Hoa Lu Ancient Capital, the Trang An-Tam Coc-Bich Dong Scenic Landscape and the Hoa Lu Special-Use Forest. 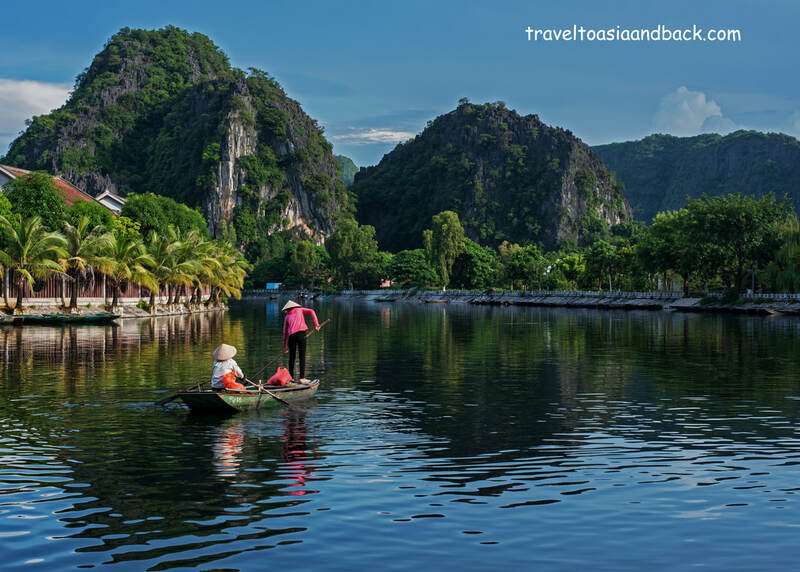 Easily reached from the bustling municipality of Hanoi, the nation’s capital, Ninh Binh Province is a popular tourism destination for both local Vietnamese and international tourists. Although many travelers choose to spend a few relaxing days exploring the area, this unique destination is also visited as a day trip. Numerous travel agencies in Hanoi’s Old Quarter district offer guided tours to the province. The small, tranquil village of Tam Coc is the tourism epicenter of Ninh Binh Province. The town center, with its small, but very scenic lake, makes a great base to explore the surrounding area. Here visitors will find a variety of accommodation options from inexpensive hostels to resorts and ecolodges. A number of small restaurants, bars and convenience stores can be found on the south side of the lake. Apart from the karst hillocks, the area is rather flat which makes it a perfect place to explore by bicycle. The majority of travelers who visit the area do so specifically to see the area’s beautiful landscape which can be seen in and around the UNESCO sites. One of the more popular activities involves row-boat rides on the various lakes and rivers found here. Mostly piloted by women, who often row with their feet, a boat ride is a really relaxing way to tour the area. Possible the most impressive and popular tourism destination in the Province is the Trang An Grottos. 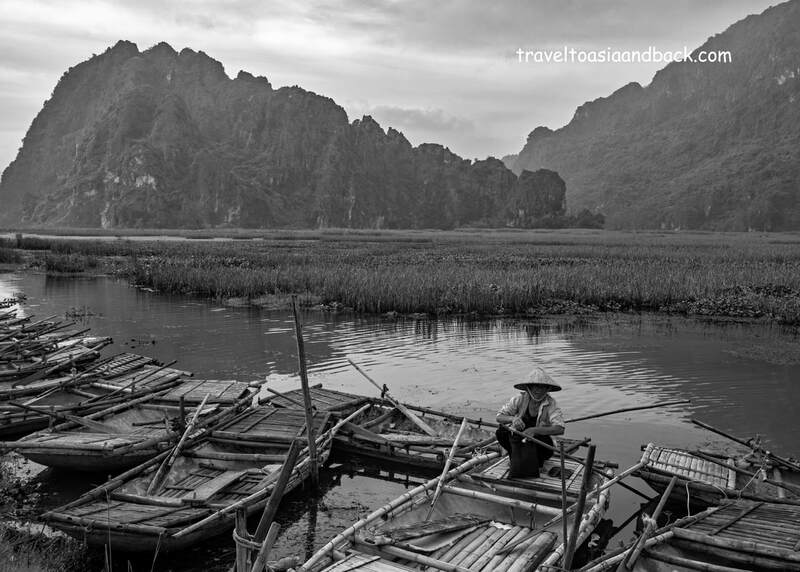 Located seven kilometers from Tam Coc, visitors will board small boats and pass through series of caves as the boat glides along the river and passes between the karst towers. Built in the eleventh century, The Hoa Lu Ancient Capital was Vietnam’s royal capital during both the Dinh and Le dynasties. Although the capital’s buildings have long since disappeared, two temples now occupy this ancient site. Set against beautiful natural scenery, a visit to this tranquil place can be easily combined with a tour of Bai Dinh Pagoda complex and a boat trip to the Trang An Grottos. Photographers will love shooting the area’s beautiful landscape, local wet markets and friendly people. The best time of year to visit Ninh Binh is during rice growing season. 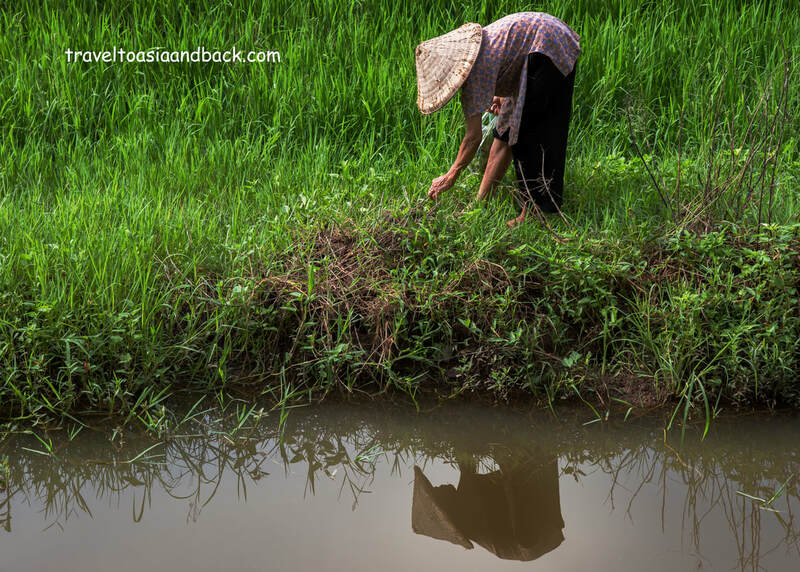 Like most of northern Vietnam, many crops, such as rice, are only grown one time per year. Generally planting (or transplanting) rice starts sometime in May or June when the summer rains begin. By late June or early July the paddy fields will be filled with vibrant green maturing plants. Sometime in late August, early September, as the rice matures, it starts to turn a golden yellow color. When the fields are filled with yellow rice, the harvest is soon to follow. ​Located 94 kilometers due south of Hanoi, Ninh Binh City, the provincial capital, can be easily reached from Hanoi by hire car, bus and train. The modern highway connecting the two cities is in good condition and the drive can be completed in one hour and forty-five minutes. Bus travel will be a bit slower but should not take more than two hours. Buses regularly depart from Hanoi’s southern bus terminal, known locally as Giap Bat. Tickets for the two-hour trip cost around 70,000 VND. At least two buses depart every morning from the My Dinh station as well. Six trains per day travel between Hanoi’s Main Railway station, known locally as Ga Hà Nội or Hanoi Station, and Ninh Binh. The journey takes roughly two and a half hours and costs approximately 77,000- 118,000 VND depending on what class and seat type is chosen. 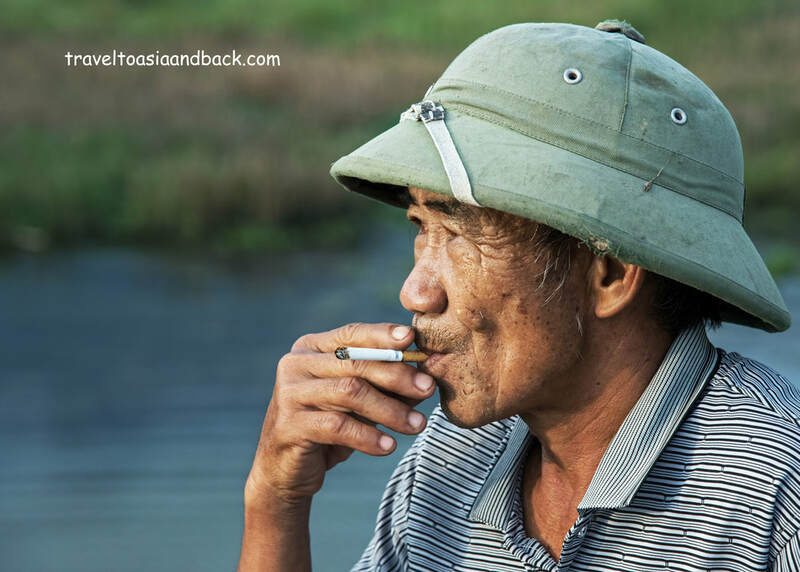 A common traveler’s route through Vietnam often includes a day or two in Ninh Binh to break up the long train journey from destinations in the central part of the country, such as Hue and Hanoi. ​Train tickets can be purchased in advance at train stations, travel agencies or online through the Vietnam Railways website. Another extremely useful website for planning train travel in Vietnam and all of Southeast Asia is the Man in Seat 61. Ninh Binh’s railway and bus stations are conveniently located approximately six kilometers from Tam Coc. The easiest way to complete the journey is by taxi. Taxis are readily available at both stations. 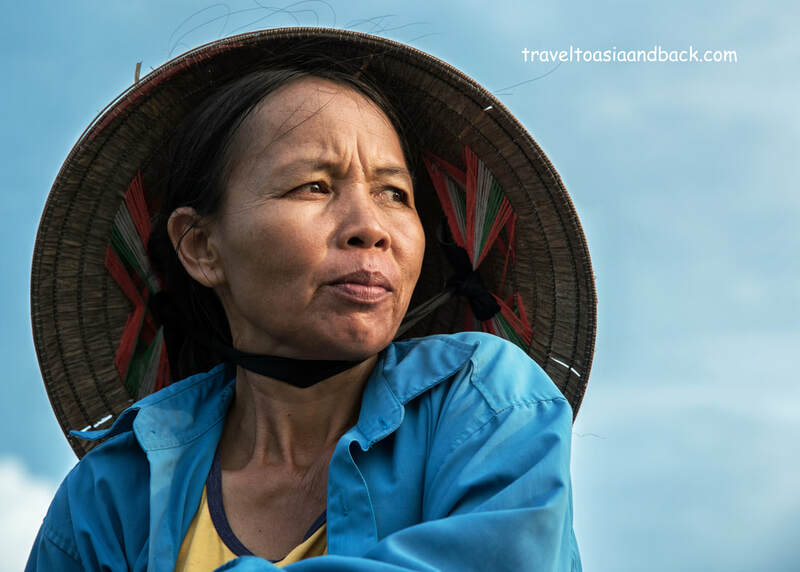 The fifteen-minute trip should cost approximately 80,000 VND.